Sometimes, it’s easy to forget how lucky we are. In the midst of running around and paying bills and cooking dinners and catching buses and shopping and walking and sleeping, you can lose sight of those little everyday sparks that make you smile. 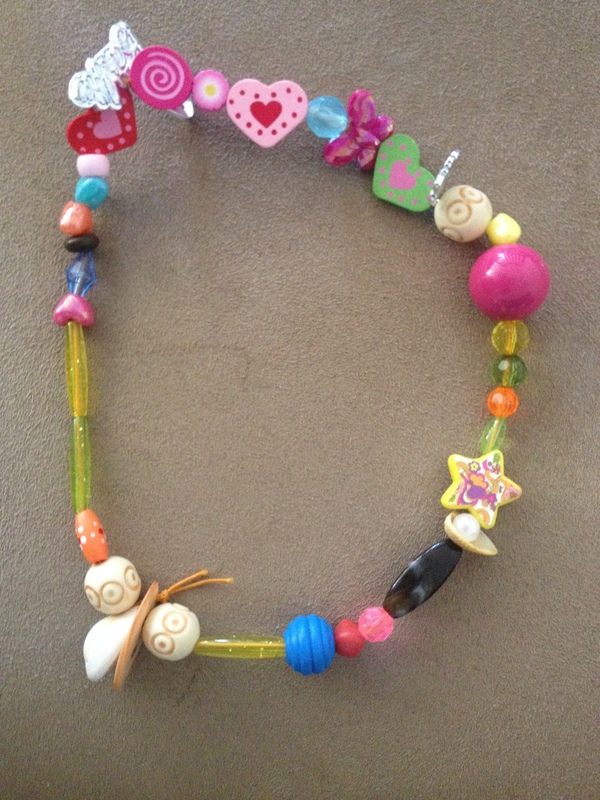 So, in case you’re having trouble finding yours, please share mine from yesterday – a beautiful necklace made for me by my five year old niece, Lauren. Yes, that’s a silver Barbie logo and little silver handbag (Carrie Bradshaw, eat your heart out) and there’s a pearl and a shell and too many other good things to mention. And it fits over my head and sits beautifully, like a designer necklace should. Tiffany & Co, look out.